People are always looking for a reason to throw a great party, and why not? They are fun, you get to catch up with good friends, and make memories that will last a life time. Theme parties though, they take parties to a new level. Although it is sometimes difficult to come up with a great theme to give your gathering, today we got you covered. Check out these great theme ideas for your next shindig that you plan on throwing for any occasion. What is better than pancakes and pajamas?! Baby shower? Girls night? Birthday celebration? 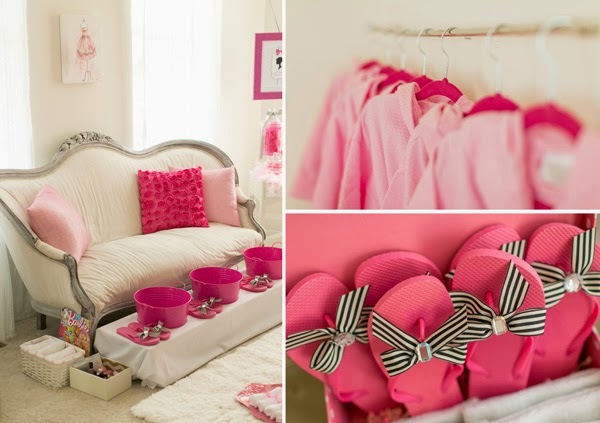 This theme party is perfect for almost any type of occasion. Have your friends show up to indulge in a variety of cereals, pancakes, bacon, and fruit to name a few all, while lounging in PJ's and sipping on mimosas. I don't think it gets much better than that! What's better than having a spa night with the girls? Gather up some face masks and nail polishes. Create your own DIY coconut oil hair masks, coffee body sugar scrub,and treat guests to robes (for $9.99!) and/or flip flops(for under $3). You are bound to have a great time getting pampered and catching up with all of your friends! Usually when you first move into a new home, funds may be tight. What better than to throw a potluck house warming party?! Ask guests to bring their favorite dish and don't forget to mark down on your invitations what course you want each guest to bring so that you don't end up with 20 desserts and 1 main dish. 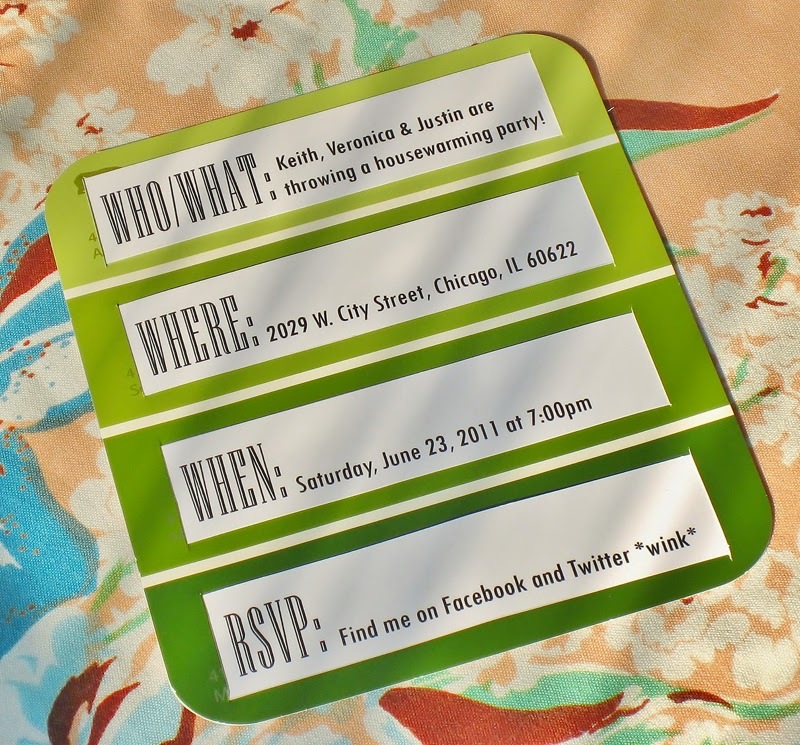 Speaking of invites, for an inexpensive idea, head to your local home improvement store and stock up on some paint chips to use as a great base for your invites. Light candles for a cozy home feel, put on some great music, and take guests on a tour of your new pad! A festive Mexican theme fiesta is perfect for anyone (heck, I'd love one for myself). 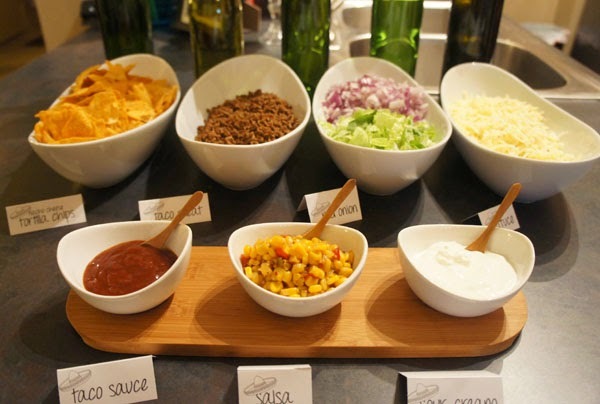 Hand out sombreros to your guests and create a taco bar with all the fixings! Hard and soft shells, chopped meat, shredded chicken, cheese, salsa, lettuce, onions, sour cream, and guac! When it comes to drinks Coronas and margaritas are always a top choice for a theme like this. Create a festive station on your Pandora radio and play music to get guests feeling festive, oh and don't forget the pinata! 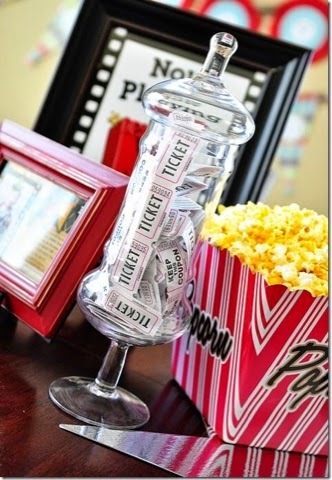 Invite guests over for a movie night! Create a snack bar complete with tubs of popcorn, pretzels, sweets, and some quick and easy apps. Put out some wine for guests to sip and provide cozy blankets and floor pillows so that guests can curl up and get cozy. What better than a night of laughs and tasty treats with friends!? What type of theme party have you been to recently? 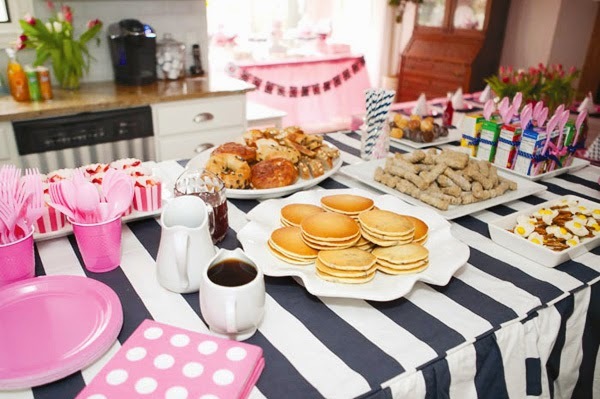 Are you planning a theme party anytime soon? Thanks! Let me know what theme you end up going with for your future party! These are all great ideas! My best friend's birthday is coming up in August and we were planning on doing a Gatsby theme but now we're thinking it's too hard and the boys will absolutely not dress up haha. I just want a fun theme so that we can dress up lol. What a fun theme and so festive! I haven't done a theme party in awhile. Theme parties are always a fun idea! My planner was wonderful! From the moment we hired her, the event coordinator went so above and beyond our expectations! She's responsive and very helpful and I know that any wedding with her will go off without a hitch.